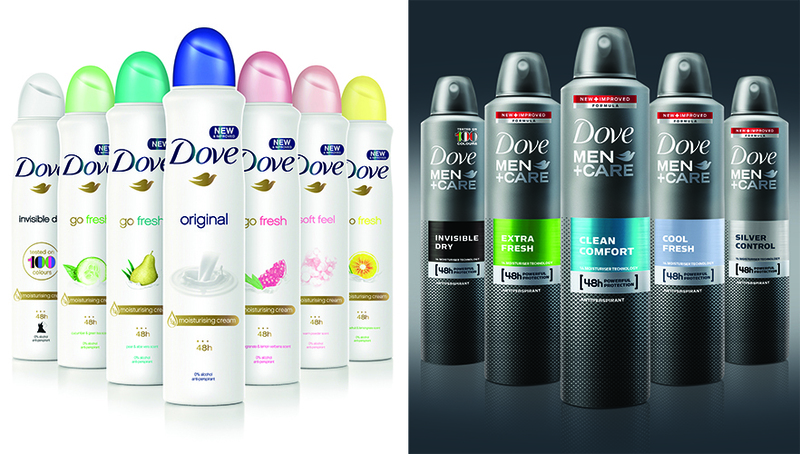 Dove has drawn on more than two decades of skincare expertise to create innovative new formulations across its entire deodorant portfolio, which now offers the same 48-hour anti-perspirant protection but with even better skincare. Everybody sweats due to the presence of around three to four million sweat glands in the human body. There are two different types of sweat gland: eccrine and apocrine. The latter mainly develop where hair follicles are present, such as the armpits, and secrete hormone-induced or emotional stress-related sweat that, when combined with bacteria on the skin, can lead to embarrassing body odour. Dove anti-perspirant deodorant helps minimise underarm odour and wetness by reducing sweat and providing protection for up to 48 hours. The hero ingredient in the new formula is sunflower seed oil (helianthus annuus seed oil), an active moisturiser that is rich in essential fatty acids, which have important regulatory actions on skin elasticity and moisture. Within the new formulas, this ingredient plays two roles: providing the building blocks to keep skin looking healthy, and creating a physical barrier to prevent moisture evaporating from the skin. Anti-perspirants reduce the amount of sweat produced thanks to an ingredient (usually aluminium salts) that dissolves into the moisture on the skin’s surface, creating a gel that sits on the sweat glands and prevents sweat from being released. Anti-perspirants can also have a deodorant effect thanks to the inclusion of fragrance. Deodorants do not reduce the amount of sweat released, but simply mask body odour. Dove anti-perspirant deodorants reduce sweat and odour while also caring for underarm skin.